We pride ourselves on providing the highest quality products and hassle-free service. Our speakers are tailor-made with customer’s needs in mind. AOMAIS is driven by our core value of creating speakers that exceed current standards and we strive for continuous improvements that go beyond expectations. We hope for AOMAIS to transform and enhance how you enjoy your music. 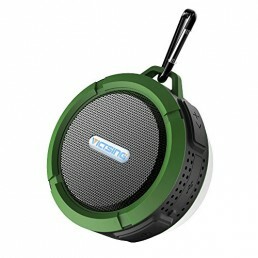 AOMAIS GO MINI has rugged and durable strength, with good looks to match. 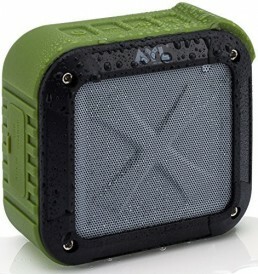 IPX7 top waterproof rating and full volume make AOMAIS GO MINI great for hiking, beach, camping, poolside, or backyard use. Rich, clear 25W stereo sound lets the bass boom. TWS function lets you pair two speakers for a powerful 50W stereo surround sound. Long playtimes up to 12-hours. LED lights are colored and dance to your music. Make your music cooler. You also connect with 3.5mm jack for non-Bluetooth devices. Inside, outside, on the go: wherever you want music, AOMAIS GO MINI delivers. With powerful 25W HD sound, you can let the bass boom. 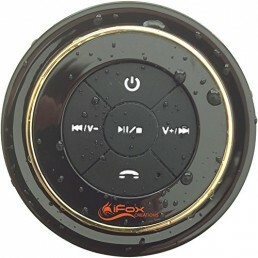 Seriously strong and true IPX7 waterproofing. Easy to use, syncs seamlessly with Bluetooth 4.2. HD ENHANCED STEREO QUALITY SOUND – Unique stereophonic active two-way fractional frequency system and double passive radiator design make the bass stronger and more balanced, the technology of separating high and low pitch units can provide optimized sound stages, make the sound more clear and sonorous. COOL FLASHING CAT&IPX7 WATERPROOF – Look, a cool flashing light cat! Build energy with a multicolored line light and flashing strobe make music more dynamic and attractive. IPX7 waterproof technology offers impermeable protection, even during complete submersion. 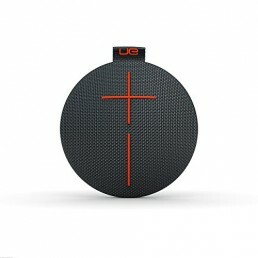 WIRELESS STEREO PAIRING – Connect 2 AOMAIS GO MINI speakers via a single device for 360° stereo sound and double the volume. RECHARGEABLE BATTERY – Built-in high capacity rechargeable 3.7V/5000mAh battery. Recharge in just 2.5 hours with included micro USB cable. Power indicators design keeps you informed the power status quickly. 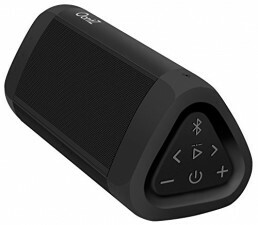 ADVANCED BLUETOOTH TECHNOLOGY – Bluetooth 4.2 technology makes the signal transmission more stable and . Perfect compatibility with iOS and Android devices. Our Worry-Free 12 Month Warranty and lifetime customer service make your purchase risk-free absolutely.